It turns out, though, that they’re not even close to the actual No. 1 stock in that period -- Monster Beverage (MNST.O). That’s right, the energy-drink company with the black and neon green label has dominated all other stocks in the index, returning almost 60,000 per cent over the period. It’s a historic rally by nearly any measure, one that was fueled by Monster growing earnings in every year since 2008, and annual revenue growth that hasn’t dipped below 9 per cent since 2001. 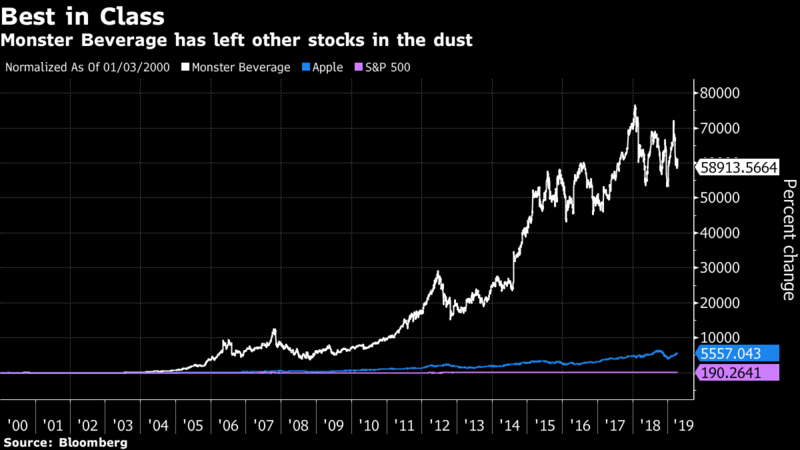 But now it’s running into serious headwinds -- the stock dropped about 18 per cent in the past few weeks -- as new competitors enter the US$50 billion energy-drink market. Amazon.com is selling a private-label energy drink and Coca-Cola (KO.N) is launching Coca-Cola Energy in Europe. The Coca-Cola product is seen as particularly notable. 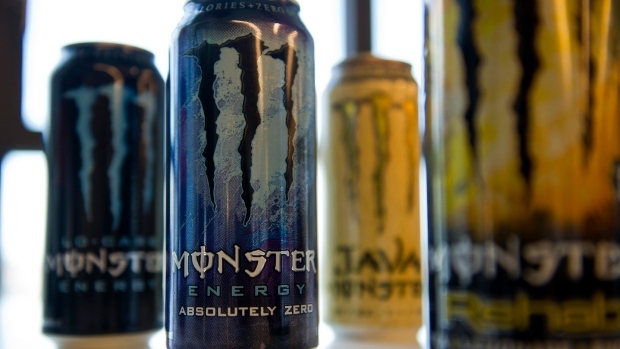 The company owns nearly 19 per cent of Monster, according to Bloomberg data, making it by far the largest stakeholder. It also distributes Monster products, and analysts have long speculated that the Dow component would buy Monster outright, which has a market capitalization of nearly US$30 billion. But the energy launch was seen as a step away from that, particularly as it came after Coke spent US$5.1 billion buying the Costa coffee chain in August. It might even get a boost from Tiger Woods’s Masters victory Sunday. Monster has been branding his bag since 2016. Shares of Monster rose as much as 0.8 per cent in early trading on Monday, putting it on track to snap a two-day decline. But in early March, Citi removed Monster from its focus list, seeing “less room for upside” at current valuations; on Thursday, analyst Wendy Nicholson cut her price target to US$66 from US$74, expecting competition “to remain stiff in the near term.” The move followed Morgan Stanley, which cut its own target last month. Wells Fargo’s Bonnie Herzog wrote Friday that a survey of beverage retailer sentiment shows “massive declines” in Monster since November.